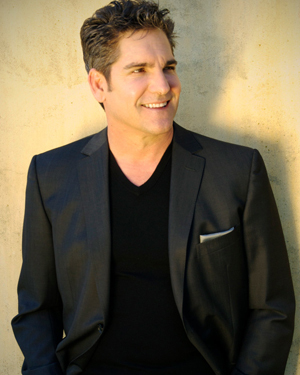 Grant Cardone is a New York Times best-selling author, star and executive producer of the reality TV show Turnaround King, host of the Cardone Zone radio show and is regularly seen on Fox Business, Grant-Cardone2-125pxNBC and Business Insider. He was named the Top Sales Expert and a Top 10 Business Coach to follow on Twitter. His commentary on business, financial and social issues have been carried in a wide variety of publications including Huffington Post, Entrepreneur, Forbes, the Los Angeles Times, and New York Post. A self-made multi-millionaire that literally created himself from nothing, Cardone is the Founder and CEO of three multi-million dollar companies. He is best known for customizing programs to either maximize a companies profitability and brand and also has also been known for his work in turning around companies. Fortune 500 companies, small businesses, success-minded individuals and entrepreneurs in the automobile industry, banking and finance, fitness, manufacturing, MLM, real estate, retail, sales and telecommunications have benefitted from his expertise.